Corsair Infrastructure Partners (CIP) has raised a total of 263 billion won ($231 million) from South Korean institutional investors in new funds launched to help the exit of its another fund from an airport developer and a port operator. Earlier this year, Corsair Infrastructure announced that its new funds had acquired Canada-based airport developer Vantage Airport Group and a minority stake in DP World Australia, a port operator, from CIP-managed Gateway Infrastructure Investments and other financial investors. Corsair Infrastructure, established in 2015, is an investment arm of New York-based private equity firm Corsair Capital LLC. It manages $2.9 billion in assets. In the fund dedicated to Vantage Airport, South Korean institutional investors put 93 billion won ($82 million) via Seoul-based AI Partners Asset Management Co. Ltd., according to South Korea’s Financial News report earlier this week. 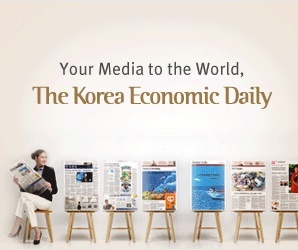 The investors include Korea Scientists and Engineers Mutual-aid Association, Military Mutual Aid Association, Shinhan Investment Corp., Shinhan Capital Co. Ltd. and SBI Savings Bank. A source with knowledge of the matter confirmed the report. The Corsair fund secured an additional 404 million Canadian dollars ($302 million) from global investors, including US private equity firms Blackstone Group and HarbourVest Partners, according to the report. In particular, HarbourVest has invested in three new funds managed by Corsair Infrastructure which acquired shareholder stakes in three companies: Vantage Airport Group, DP World Australia and Itinere Infraestructuras, a Spanish toll-road operator. Vantage Airport Group is leading the $4 billion LaGuardia Airport Central Terminal B redevelopment project and JetBlue Airways’ multi-billion-dollar terminal expansion at John F. Kennedy International Airport. For DP World Australia, Dubai-based DP World announced its acquisition of an additional stake in the Australian port operator in January from Gateway Infrastructure and other financial investors. Corsair also bought a minority stake in DP World Australia through its new funds from Gateway. It will continue to manage a significant investment in DP World Australia, it said in a press release in January. For the DP World Australia-dedicated funds, AI Partners recently raised 170 billion won ($149 million) from South Korean insurance companies which include ABL Life Insurance Co. Ltd., Mirae Asset Life Insurance Co. Ltd., Kyobo Life Insurance Co. Ltd., Shinhan Life Insurance Co. Ltd. and Heungkuk Fire & Marine Insurance Co. Ltd.
DP World Australia operates port terminals in Australia’s major ports of Sydney, Melbourne, Brisbane and Fremantle. No further details such as expected returns and investment period were immediately provided. AI Partners, launched in 2017, focuses on infrastructure, energy and private equity investments.